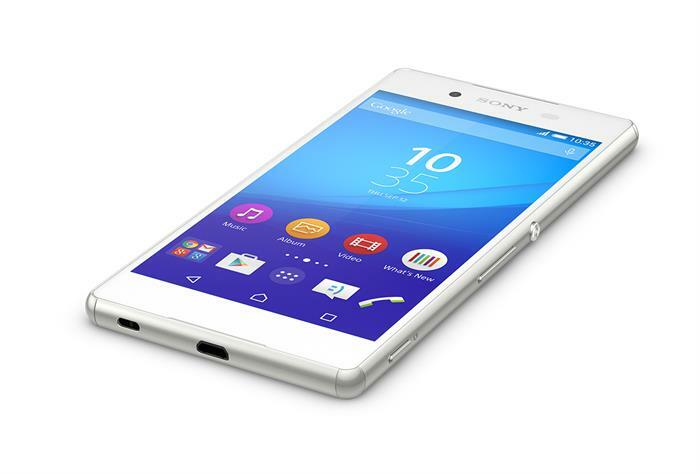 Sony Xperia Z3+ (latest release of Xperia smartphone in India) was launched on June 11, 2015. Sony stated that they already sold 3 Million units of the smartphone with almost no unsatisfied customer because of brilliance in its make but will it be able to defeat OnePlus 2 which is the most awaited smartphone of 2015 and known to be 'Flagship Killer of 2016'? After the release of OnePlus 1 almost every tech geek was eagerly waiting for the next phone and the time has come to the end. OnePlus 2 is going on air from August 11, 2015. What do you think which one is better Sony Xperia Z3+ or OnePlus 2? Let's find it out. Sony Xperia Z3+ comes with Xperia's traditional design whereas OnePlus 2 will roll out with a brand new design which will make you stand out of the crowd. Sony Xperia Z3+ has a 5.2-inch 1080x1920p full HD Display with 424 pixels density whereas OnePlus is said to come with a huge 5.5-inch full HD Display with same resolution as Z3 but with less pixels density; it will feature 401 pixels density which may not be identified on normal use but can be easily differentiated while viewing 4K videos or playing high graphics games. Apart from this, Sony Xperia Z3+ comes with IP68 certified Dust Proof, Water Resistant and Scratch Resistant design which will be missed in OnePlus 2, but instead of putting some important things OnePlus 2 makers installed a Fingerprint Scanner thinking it will be better than Apple's Tech and make their smartphone like any Mission Impossible one but they were wrong as per the users of this smartphone in Developer's Preview it comes with a faulty fingerprint scanner which may be fixed after OTA update. Sony Xperia Z3+ comes in 5 shades - White, Black, Copper, Aqua and Green where you will find OnePlus's official Sandstone Black shade in OnePlus 2, but you can later on customize the smartphone with back cases released by company as well, but still you will miss those colors somewhere. In the terms of design Sony Xperia Z3+ is far better than OnePlus 2 with Nature Proof Design which is a big drawback of OnePlus 2. I believe that in the terms of camera no one can defeat Sony and Apple, and this time too they proved me right. Sony Xperia Z3+ comes with a 20.7 Mega-Pixels camera with Auto Focus, Geo Tagging , Touch-to-Focus, Face Detection, etc. A secondary camera of 5.1 Mega-Pixels adds another star in the ratings. OnePlus 2 comes with a primary camera of 13 Mega-Pixels with Dual-LED Flash and a light collecting sensor, which helps you to capture awesome images in the dark. Camera of both the smartphone are able to record 4K videos but it is not enough for OnePlus because Xperia Z3+ camera is far better than OnePlus 2. In terms of Camera too Sony Xperia Z3+ defeated OnePlus 2 with 20.7 MP rear camera and 5.1 MP secondary camera. This maybe the most important part for both the smartphones in which they have to give their best because both of them runs on tgQualcomm's Snapdragon 810 which is defamed due to its heating issue but OnePlus stated to give some modifications to the processor with the help of Graphite layers to solve heating issue but outcomes are still not disclosed whereas issue of heating is already felt in Sony Xperia Z3+ even with the moderate use this phone easily heats up to a high temperature which makes it uncomfortable to use. Both the phone support Adreno 430 GPU which will give similar outcomes in terms of graphics. Sony Xperia Z3+ comes with 3 GB RAM whereas OnePlus 2 users have option of 3/4 GB RAM according to their choice of storage 16/64 GB respectively. Sony Xperia Z3+ comes with feature of expandable memory up to 128 GB which will be definitely missed in OnePlus 2. Xperia smartphones comes with Sony's UI which is based on Stock Android whereas OnePlus 2 comes with Oxygen OS which is customized version of Cyanogen OS. Sony stated the battery life to be 2 days long but it is only true under basic usage whereas if we compare to the battery of OnePlus 1 then it performed same as well, we are expecting better battery in OnePlus 2 because nowadays mAh doesn't matters. This time bloatware in Sony Xperia Z3+ is a very big issue because it comes with around 20 Pre-Installed apps but luckily you can uninstall them to get better performance. With a better RAM option and Awesome Operating System, OnePlus 2 sounds better than Sony Xperia Z3+. Verdict - Which one is better? Ah! It's very hard to decide which one is the best because both the smartphones feature almost the same specifications but if you love to take pictures with your smartphone then you should go with Sony Xperia Z3+, but if you can do slight compromise with camera quality then OnePlus 2 will also perform better. Sony is in the business of Smartphones from long whereas OnePlus is new entry with only 2 smartphones in the market due to which you will feel lack of technical support and customer care centers around your place. OnePlus 1 users claimed that they have to wait even 1 month to get their phone repaired from customer care due to less availability of spare parts. It's fully up to you. If you want a performance beast then definitely OnePlus 2 is made for your or if you want to go for a branded Sony smartphone then you will get better camera, almost same performance as OnePlus 2 and a better design as well. But if we look at the price Sony Xperia Z3+ its about Rs. 48,000 but you can get OnePlus 2 at Rs. 25,000 definitely its best choice in this price range. One Plus Two is not a bad option either. It has some unbelievable features at an affordable price tag. Finger print scanner should be the best ever introduction at thus price range. It has an improved camera with latest optical image Stabilisation and Laser auto focus. The capacity to focus within 0.3 seconds is an added advantage for those quick shots. @Timmappa I think you are right but you should't forget Sony Xperia smartphones too - they come with best in class camera all the way from the factory. I am sure One Plus Two can't beat these beasts in camera!